Windows Narrator is one of several accessibility functions in Windows 10 A Brief Guide to Windows 10 Accessibility Tools A Brief Guide to Windows 10 Accessibility Tools Whether you struggle with poor vision or want to explore speech control, Windows 10 offers plenty of accessibility tools to help you out. We show you where to find and how to use them. Read More . It serves as a simple screen reader for users with visual impairments. But even if you don’t need it for that reason, you may still find Windows Narrator useful—and you may want to download and install voices other than the default. These are the basic text-to-speech (TTS) voices you can download for Windows Narrator. Windows 10 does include a few extra voices besides the default. To change them, go to Settings > Ease of Access > Narrator and under Personalize Narrator’s voice, choose a new voice from the dropdown box. But what if you want entirely new voices? Unfortunately, this isn’t as easy as it once was. In prior versions of Windows, you could utilize a few voice-related downloads from Microsoft. Using them, you were able to dive into the Registry and make a few modifications to tell Windows to use the new voices. We tested the once-popular methods for this, but none of them work properly anymore. Windows 10 keeps the Narrator voice information in a different location than earlier versions, rendering earlier methods unsuccessful. While you may be able to dig around in the Registry to make this work, there’s no guarantee that future updates to Windows 10 won’t break it. And we don’t like recommending methods that require extensive Registry editing, as they’re more likely to introduce issues. None of these tools are free, but if you need a high-quality screen reader or voice, they’re well worth paying for. 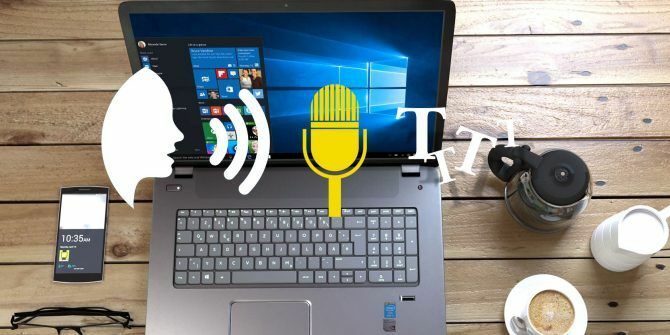 If you want to type with your voice instead, check out the best free speech-to-text tools for Windows The Best (Free) Speech-to-Text Software for Windows The Best (Free) Speech-to-Text Software for Windows Looking for the best free Windows speech to text software? We compared Dragon Naturally Speaking with free alternatives from Google and Microsoft. Read More . Yeah I did the reset completely, Being a Tech Savvy person im not too worried, but it wiped everything, My recycle bin App is left, Cant even open up the Start Menu. Windows 10 is a piece of crap. It monitors everything you do, uses the ugliest GUI that was ever made for a PC, and is unable to properly scale legacy applications on high DPI monitors, showing fuzzy fonts unless you painfully customize each application, and each new upgrade of these apps. I could not state how much I hate it, there is just no words to describe how bad it looks and behaves. I thought I was the only one who hated the stupid interface and the absurd setup! Makes a die-hard Windows user like me stoop low enough to consider a Mac! Makes me love Windows 7 even more than I do now - if that is possible.